This part of the documentation covers the installation of Flask-OAuthlib. 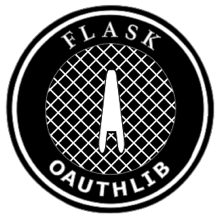 Flask-OAuthlib is actively developed on GitHub, where the code is always available. Flask-OAuthlib is a replacement for Flask-OAuth. It depends on the oauthlib module. © Copyright 2013 - 2018, Hsiaoming Yang.